Russia's communications regulator Roskomnadzor has threatened Apple to face the consequences if the company does not remove secure messaging app Telegram from its App Store. Back in April, the Russian government banned Telegram in the country for the company's refusal to hand over private encryption keys to Russian state security services to access messages sent using the secure service. However, so far, the Telegram app is still available in the Russian version of Apple's App Store. Roskomnadzor's director Alexander Zharov said he is giving the company one month to remove the Telegram app from its App Store before the regulator enforces punishment for violations. However, despite being banned in April, the majority of users in Russia are still using the app via Virtual Private Networks (VPNs), and only 15 to 30 percent of Telegram's operations in the country have been disrupted so far, Roskomnadzor announced yesterday. "In order to avoid possible action by Roskomnadzor for violations of the functioning of the above-mentioned Apple Inc. service, we ask you to inform us as soon as possible about your company’s further actions to resolve the problematic issue," said Roskomnadzor in the letter. Roskomnadzor is a federal executive body in Russia which is responsible for overseeing the media, including the electronic media, mass communications, information technology and telecommunications; organizing the work of the radio-frequency service; and overseeing compliance with the law protecting the confidentiality of its users' personal data. 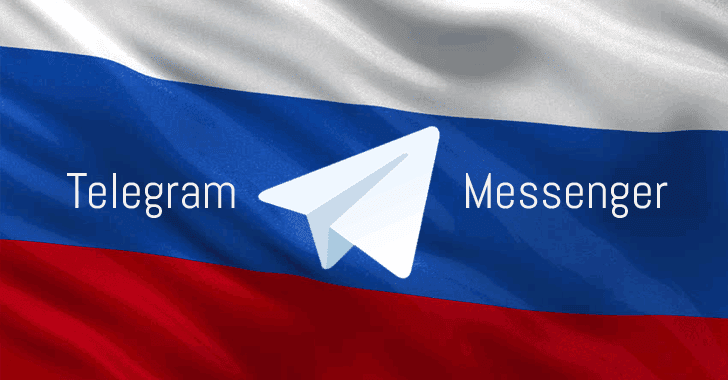 Roskomnadzor wanted Telegram to share its users' chats and encryption keys with the state security services, as the encrypted messaging app is widely popular among terrorists that operate inside Russia.